Service My Solar delivers solar inverter repairs and service on any solar power system. Service My Solar services ALL major solar power components – no matter the brand, product, where it was made or purchased from. We specialise in inverter repairs, system health checks and maintenance. And for those of you that have been left in the dark by your original solar retailer, you can count on us to get you back online in no time at all. As a preferred service partner for major brands including SMA, Zeversolar and Macsolar, our reputation as a credited repairs company is unmatched. We’ve earned the trust of industry leaders to supply and service solar power products to the highest standard, giving you greater confidence to choose us. In some cases, system issues only require a reboot and are not broken at all. In these situations, we can provide easy troubleshooting tips to help you fix the problem yourself – no costs, no time wasted. In other cases, we may recommend a complete replacement if you are no longer covered for warranty. Remember, every day you spend with faulty parts costs you money. Contact us today and continue to enjoy the benefits of clean solar power. If you happen to require inverter repairs, we can have a service technician on-site in no time. Our customer service team will give you professional advice by phone and recommend your best options. Prevention is always the best cure and regular servicing (at least once a year) is the best way to ensure your system is running safely and efficiently, allowing you to get the most savings out of your panels as possible. Just like a car, or any long-term investment, even the most expensive solar energy systems require proper after-sales maintenance to ensure they last a lifetime. Protect your investment by booking a service with one of our qualified, CEC accredited electricians today. 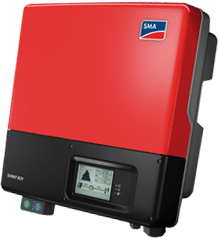 We service most inverter and solar panel brands, so even if your inverter isn’t on this list, we can still service it for you.